Owning a car is expensive. There are no two ways of looking at it. You might have found an absolute bargain at a dealership or as a second hand deal through some reliable individual on the internet, but the fact remains that, following that initial payment, you’re going to be facing some hefty costs in terms of maintaining your vehicle over the course of its lifespan. Still, everybody has a car, and even the most financially-strained amongst us can afford to keep the engine running on a car if we’re sensible about our initial decision to buy it and how to maintain the vehicle following that; this especially applies to the younger generation, who might be short on disposable income. Maybe you’ve given up on the dream of ever having that ideal car. Maybe you’ve given up on the dream of ever being able to afford simply a nice car, especially if you’re young and this is your first purchase. “Perhaps in twenty years,” you say to yourself. Of course, just because you’re young and you’re living off pennies, that doesn’t mean you have to settle for a car that’s running on fumes. Like all investments, a good car is something you’ll find with patience and time. It’s one of the most important assets into which you’ll ever pour your money, so it’s worth taking a little extra time to weigh up your options; even if it’s something you only own for three or four years, that’s still a lot of money in a short space of time. Here are some tips to ensure you’re spending your money on a car which you can keep maintained and efficient during its lifespan, even if it’s cheap. Affording your new car in the first place. First of all, you need to figure out what kind of car you can afford in terms of the initial payment. Maybe you’ve already found a model of which you’re a fan, and you can afford it the long run with your salary, but the initial payment is a little bit of a stretch for you. Still, there are auto loan companies, such as Approve Now, which can get you on a feet with a loan for your future vehicle that isn’t dictated by credit score. Much like buying a new home, down payments can often seem a little scary on the surface, but if you’re smart about your decision, there are always simple and non-threatening ways to fund this initial step. You just have to be smart with your finances and prepare to give up some of your other luxuries for the next few months whilst you use all your disposable income to cover the costs related to your car, and any money you may owe anyone. Some cars are quite cheap to maintain, even if their initial payment is scarily high, so it’s worth considering the long-term goals. Alternatively, some newer models might offer a “bargain” price initially, but hefty monthly sums in the long run. You need to be weighing up insurance costs and fuel efficiency, as some vehicles will consume fuel more quickly than others. Aspects of a car such as these regularly will demand a certain portion of your income, and you should consider this before you make any hasty decisions on purchasing a new car based on a good price. Whether you manage to keep the engine running or not depends on whether you’ll have the available funds to do so. Once you have a new car, it’s easy to sit back, relax and tell yourself you’ve got it all covered now. Well, you might, but if you’re a young driver, you likely still want to be living relatively frugally even after you’ve tackled the initial payments involved in purchasing a car. 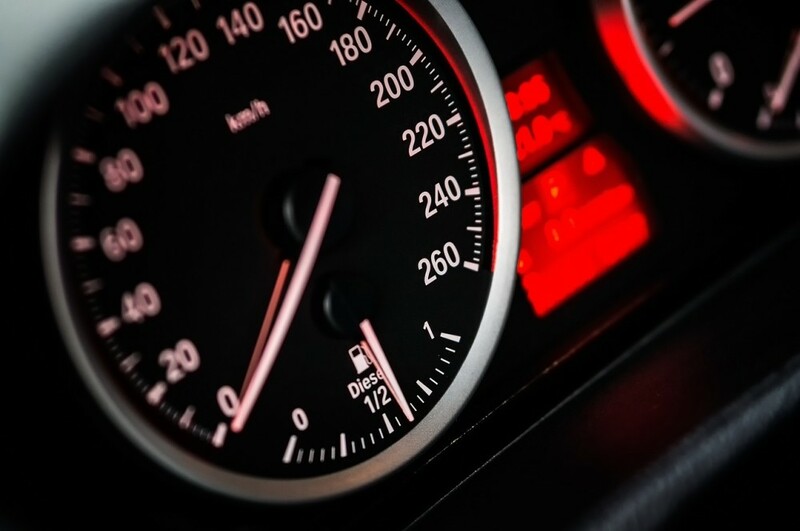 No matter how fuel-efficient it may be, what you do with that efficiency is up to you, because the speed at which you drive impacts how quickly you’ll drain your car’s fuel. As soon as you’re hitting somewhere above 50 mph, you’re costing yourself more money per gallon of petrol, so it’s worth cruising when you’re coming up to stops and sticking to smaller roads when you’re not on the motorway. Otherwise, you’re racking up huge additional costs onto the end of your monthly bills, which likely already scare you. Be patient and scour the market. Car dealers, and perhaps even individuals selling second hand cars, are salesmen focused on assessing the mentality of each potential buyer who comes to them. If you play a weak game, you’re going to be taken for a ride, because so many people fall into that trap. It’s especially common, amongst younger people who are desperate for a new car and a small slice of independence, to grow a little impatient and leap at the first “deal” they see. If you do that, you’re giving the seller the good footing, and you’re setting yourself up for failure. You should shop around and look at multiple quotes, even when you’ve found the car (whether it’s an old or new model) that you truly want. There might be a better deal elsewhere, and there might be a mechanics which can give you a better insight into maintaining that model from a non-biased point of view. Be prepared for your car to break down. Whether you’re a brand new driver looking to get out in your very first vehicle on the road, without an instructor, or you’re an old hand to the road, the majority of people are absolutely stumped when their car breaks down on the roadside. If that did happen, you have to ask yourself what you’d be able to do to fix the problem. Most people need some form of cover, but the question is what cover you need, especially if you’re trying to maintain your car safely, but cheaply. You should ensure you only cover what is relevant to your specific vehicular model.